1. Deposit and Payment. Client is not obligated to purchase any prints or products from this complimentary session. There is no fee for entry into this model search. 2. Cancellation. If client fails to appear for complimentary headshot session, there will be no session rescheduled. If client is late, it will be the discretion of the photographer to allow client to participate. This sets precedence for future agreement if chosen as a model. 3. If your son/daughter is selected as a Senior Ambassador Model Rep and does not refer any students for their senior pictures before the first day of class in the fall, you will be billed $100 to cover the costs and expenses directly associated with their session and rep cards. Remember, you may not order any prints from the free session until at least two (2) student schedules and holds a Creative session as a result of your son/daughter's direct referral. 4. Photographic Materials. All photographic materials, including but not limited to negatives, transparencies, proofs, and previews, shall be the exclusive property of The Photographic Art Studio. The Photographer shall make online previews available to the Client for the purpose of selecting photographs should they decide to purchase. 5. Copyright and Reproductions. The Photographer shall own the copyright in all images created and shall have the exclusive right to make reproductions. The Photographer shall only make reproductions for the Client or for the Photographer’s portfolio, samples, self-promotions, entry in photographic contests or art exhibitions, editorial use, or for display within or on the outside of the Photographer’s studio. 6. Client’s Usage. Client may use the watermarked image used for the online voting poll as a profile photo on websites. Removal of watermark will result in legal action as stealing a copyrighted image. 7. Contest Permission.  Client grants permission for their child (under the age of 18) to enter Senior Model Ambassador Search for The Photographic Art Studio and understands the terms of the contest as well as responsibilities as a chosen senior model representative. Client agrees that image may be posted online and their child has permission to act as a senior model representative for The Photographic Art Studio if chosen. 8. Arbitration. All disputes arising under Agreement shall be submitted to binding arbitration before a judge in the following location California courts and the arbitration award may be entered for judgment in any court having jurisdiction thereof. Notwithstanding the foregoing, either party may refuse to arbitrate when the dispute is for a sum less than $1000. 9. Miscellaneous. This Agreement incorporates the entire understanding of the parties. Any modifications of this Agreement must be in writing and signed by both parties. Any waiver of a breach or default hereunder shall not be deemed a waiver of a subsequent breach or default of either the same provision or any other provision of this Agreement. This Agreement shall be governed by the laws of the State of California. The parties have read this Agreement, agree to all its terms, and acknowledge receipt of a complete copy of the Agreement signed by both parties. By entering your name below, you are agreeing to the terms of this contract as stated above.